Meet the faculty and students of the Landscape Design and Management program and see what's new in the classroom. PARKING PASSES WILL BE REQUIRED! 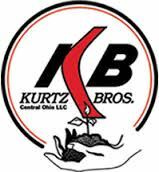 Thanks to our event partner, Kurtz Brothers.